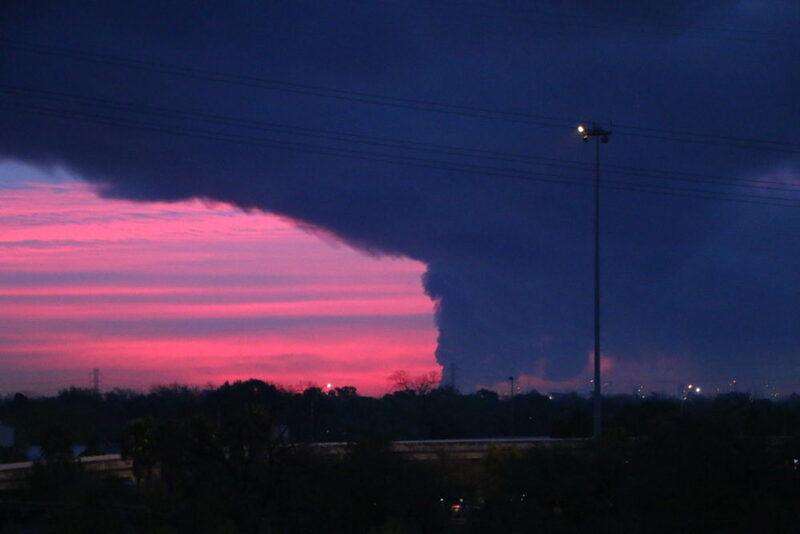 The fire has caused a massive smoke cloud that can be seen from the ITC facility in Pasadena. Updated on Monday March 18, 2019, at 5:00 p.m. 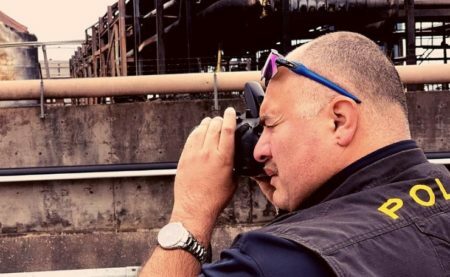 The company that owns the Deer Park petrochemical storage facility says air quality monitoring conducted by experts working for the company indicates chemicals detected are below levels that represent a public health concern. Meanwhile, the Texas Commission on Environmental Quality said in a news release that, as of 11:30 a.m. on Monday, it hadn’t detected “any immediate health concerns at ground level.” Deer Park is about 15 miles southeast of Houston. Officials with Intercontinental Terminals Company (ITC) held a news conference around 4 p.m. and released the report by the Center for Toxicology and Environmental Health (CTEH). It says the air quality is being monitored using hand-held devices in the facility and surrounding community. The report indicates that “all hand-held air monitoring was conducted in the breathing zone.” ITC spokesperson Alice Richardson said six tanks were on fire as of Monday afternoon. Three of the tanks are on fire and another three are experiencing intermittent fires. Richardson noted the report has been submitted to the government agencies that are overseeing the incident. She added emergency responders are making headway in terms of controlling the fire, which has caused a massive smoke plume that can be seen from downtown Houston. 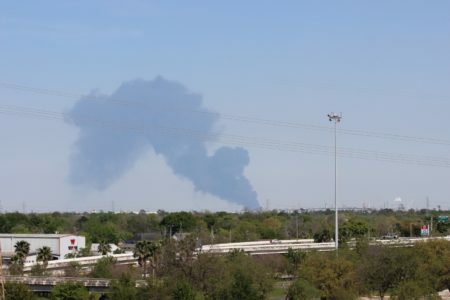 Earlier on Monday, Harris County Judge Lina Hidalgo said that preliminary data indicate the ongoing fire at the facility isn’t impacting air quality. “The latest information that’s available doesn’t show levels beyond a threshold that would make this dangerous,” said Hidalgo in a news conference held at 1 p.m. But she added more data have to be processed and the situation is fluid. Harris County is monitoring air quality using mobile air monitors and fixed air quality monitors. These devices can detect dangerous chemicals such as benzene. However, Harris County Meteorologist Jeff Lindner acknowledged that the monitor located in Deer Park hadn’t reported since 5 a.m. The cities of Houston, La Porte and Pasadena are also monitoring the air quality. The smoke plume caused by a massive fire at a Deer Park petrochemical storage facility as seen from Highway 225. Emergency responders said earlier that the fire could take about two days to burn out. Ray Russell, a representative with Channel Industries Mutual Aid (CIMA), made that assessment during a news conference. CIMA is a non-profit organization specialized in firefighting and hazardous material handling of the refining and petrochemical industry in the Greater Houston metropolitan area. CIMA officials said they are in defensive mode, meaning they will work to contain the fire while letting it burn itself out. David Wascome, ITC senior vice president of operations, said in the afternoon news conference the two-day timeline for the fire to burn itself out is under review. The shelter-in-place order previously issued for residents of Deer Park has been lifted, even as the fire at the facility had spread to include 8 tanks. ITC said in a statement that air quality readings were “well below hazardous levels,” leading Deer Park officials to lift the shelter-in-place order. Still, city and county officials warned that smoke from the fire could cause skin and eye irritation and respiratory issues. 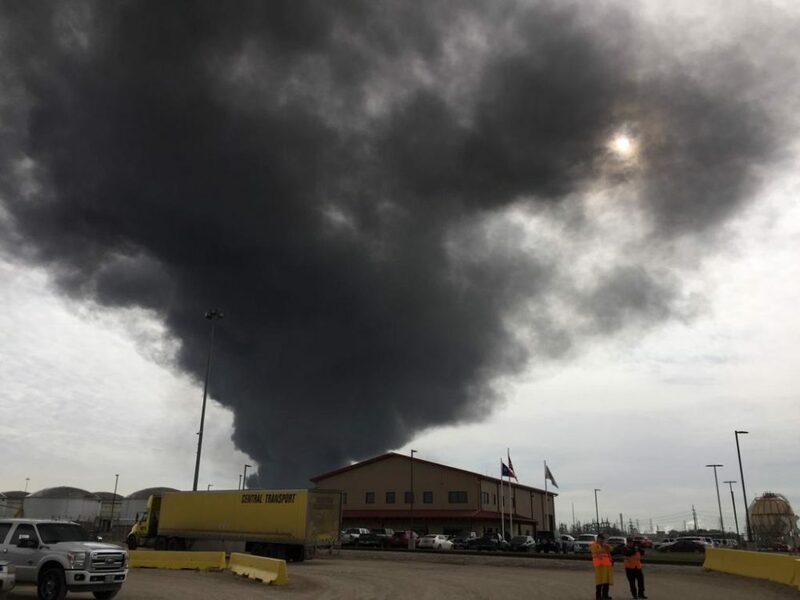 The fire includes tanks holding the chemicals naphtha and xylene, components of gasoline, and toluene, a chemical used to produce nail polish remover, glues, and paint thinner. ITC said pumping operations to reduce the amount of combustible material in the tank containing naphtha are ongoing. All personnel are accounted for and there have been no injuries reported. ITC said on Monday morning that low levels of particulate matter had been detected. A volatile organic compound was found in air six miles southwest of their facility. Crews are using foam to try and contain the fire. The risk of explosion is minimal, the company said, and crews are working to reduce the possibility. State Highway 225 was re-opened on Monday, though portions of Independence Parkway will remain closed until further notice. ITC is coordinating its response with representatives of the Texas Commission on Environmental Quality’s (TCEQ), the Environmental Protection Agency (EPA), the U.S. Coast Guard, Harris County and other federal, state and local agencies. The TCEQ said in a news release that, as of 11:30 a.m. on Monday, it hadn’t detected “any immediate health concerns at ground level.” The agency is monitoring the air quality in the area using hand-held devices and stationary monitors. The agency is providing updates, including a map with real-time data from stationary ambient monitoring sites, online. Additionally, the TCEQ is arranging for a NASA special airplane to monitor air quality. Controversy sparked recently after an investigative story by the LA Times reported the EPA and the TCEQ discouraged NASA from flying the plane in the aftermath of Hurricane Harvey. 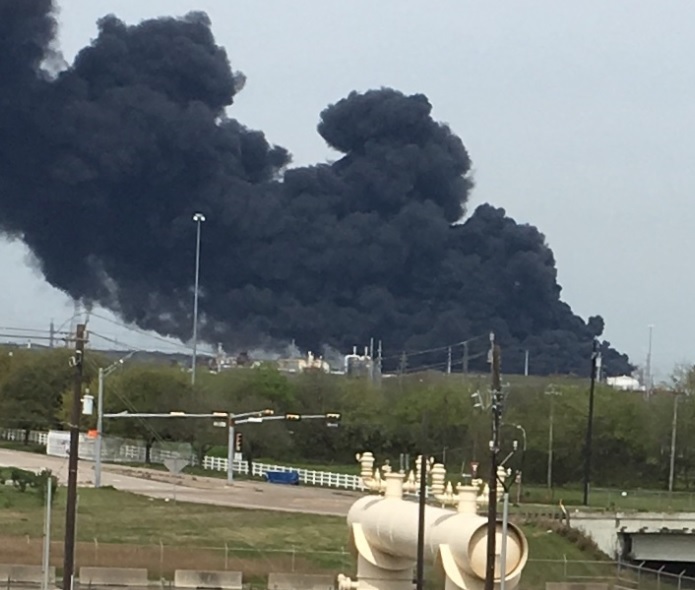 Ramanan Krishnamoorti, a chemical engineering professor at the University of Houston, told Houston Matters the explosion risk is low because there’s not enough oxygen or pressure in the tanks. He said the fire is producing some air pollution in the form of particulate matter and it’s releasing raw hydrocarbons into the environment, including nitrogen oxide, but the levels don’t look alarming for now. Wascome said on Monday morning that both ITC and Harris County were monitoring air quality in and around the area. 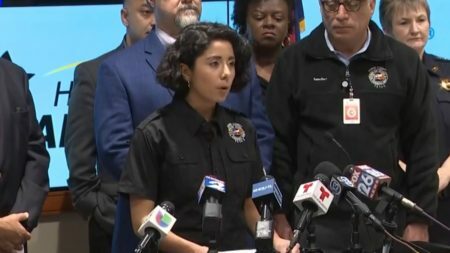 ITC spokeswoman Alice Richardson said air monitoring results are being provided to the Harris County Office of Emergency Management and local emergency operations centers. Elena Craft, senior director of climate and health with the Environmental Defense Fund (EDF), was also a guest on Houston Matters, and said EDF can’t make its own assessment of the situation because they don’t have the information that the responding agencies are collecting. “We’re just kind of meant to believe the assessment that they’ve made. I think that’s problematic,” she said. Craft said the formation of secondary pollutants like ozone is a concern. “The fire is still burning and, so, there’s a lot of material there that’s been combusted that could potentially contribute to air quality issues in other places,” she noted. 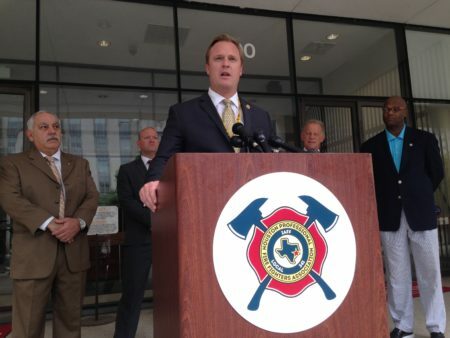 The Harris County Fire Marshal’s Office is investigating the cause of the fire with help from ITC. ITC plans on holding another news conference on Tuesday at 10 a.m..
EDITOR’s NOTE: An earlier version of this story erroneously reported ITC representatives had said the fire could take about two days to burn itself out. The story has been corrected.